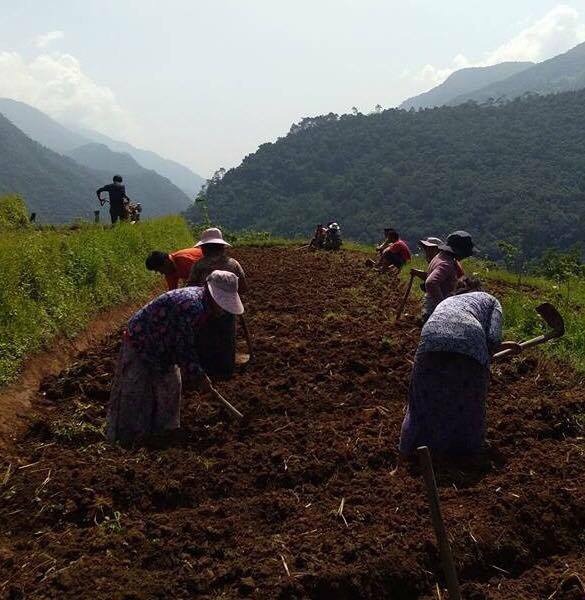 BAOWE (Bhutan Association of Women Entrepreneurs) believes in the huge potential for women entrepreneurs in Agribusiness stemming from the Bhutanese cultural norm of women inheriting family land in Bhutan’s matriarchal society. The women in the farms make up the majority of the population, and the country’s economic growth suffers colossal losses when often these lands are left fallow due to lack of business expertise, financial incentives or technical know-how in farm businesses. With women making up such an essential component to the economic well-being and development of the country, there comes an issue when 70% of the unemployed population are women. When Bhutan talks about developing its own economy in an inclusive manner, this includes employing more women in sustainable jobs, particularly in the Agribusiness. As a country where the majority of the population is employed through farm production, the farming sector hasn’t really taken off. The production is low and insufficient to meet demands, and furthermore there is no workable marketing network to connect grass root farmers to production units: domestic or international.